Others have breast cancer treatments, but none have a team of breast cancer specialists in your backyard. At Marshfield Clinic Health System, we have a team of local experts to support you and coordinate your care throughout your treatment. This team includes dedicated radiologists, oncologists, surgeons, breast care navigators, social workers and many others to help you through the process. She received care and support from the moment she was diagnosed – from trying to understand “Why her?” – to beyond her treatments when she had questions about the next steps. Watch Karisa’s story to see how her team was on her side. We want to empower women to become advocates for their health by doing their monthly breast self-checks and getting their annual mammogram. Many times, women are focused on caring for those around them and put themselves last. You can’t be strong for others if you don’t care for yourself. 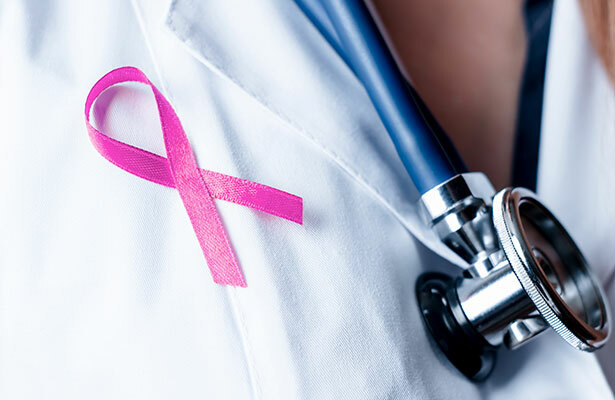 Providing mammography services through our mobile health screening units, which can come to your area, and mammography services in many of our centers. Partnering with local media to bring you cancer prevention stories in the Wausau and Eau Claire areas. Being available at community events and support groups to answer your questions and share information about breast self-checks. If you are a woman age 40 and older, you should have a mammogram every year. We have mobile health screening units that travel throughout Wisconsin and mammography services in many of our centers. Contact your primary care provider to schedule your mammogram. We support many community events that provide education and training about breast cancer screenings. Cancer Care and Research relies on donor support to provide important services throughout Wisconsin.